I thought I'd do a monthly favourites post to round up June, especially as I've tried quite a few new things out this month. Hope you've had a lovely June, here's to hoping July brings a little more sunshine. Nars Pure Radiant Tinted Moisturiser (Terre Neuve/Light 0) - I think I bought this at around the end of April, and I've been loving it ever since. Generally I prefer to wear a very sheer base, or none at all, and this gives a nice little touch of coverage, evening out my skin, and additionally adds a really lovely glow, making my pale, pale skin look a bit more life like. I wear the palest shade, which suits my skin nicely - the Nars website suggested it would have a slightly pink but neutral tone, and my skin is more yellow than pink, but I think because the product is so light in coverage it appears to match me just fine. Urban Decay Half Baked Eyeshadow (Naked palette) - I've been loving wearing this eyeshadow along my bottom lash line. It adds a lovely dash of gold shimmer, giving an extra something to a simple eye look. I generally like to use a gold or coppery shade for this area, and find that Half Baked looks rather sweet. Illamasqua Precision Ink Eyeliner (Abyss) - I heard about this eyeliner quite a while ago, from sunbeamjess' youtube channel, and I thought it was about time I gave it a go. I am not good at eyeliner, but there's something about this one that seems to have just clicked with me, and I'm able to do a perfect flick without faffing around for twenty minutes (a miracle in my eyes). It's perfectly opaque and applies smoothly; one I have and will continue to recommend. Maybelline Browdrama Pomade Crayon (Medium Brown) - This month I tried filling in my eyebrows for the first time ever. And I didn't hate it. I'm pretty sure I bought this within an offer when getting something else, so I effectively paid about £2 for it, so I wouldn't end up minding if I didn't like the look. It took a little experimenting and a very gentle touch, but it actually looks pretty nice. I have very thick and fairly full eyebrows, and so I've never felt it necessary to fill in the few little gaps here and there, but I really like how they look with just a small bit of evening out. Very easy to use and simple for a novice like me. L'Oreal Nudemoiselle Nail Varnish - Still not really sure if nail varnish comes under the category of makeup, but here we are. This colour is the lightest pink, and if it weren't so light I don't think I'd be one to wear it in all honesty. I'm not really a girl who wear pink, but I've been trying it, starting with very pale tones and I don't hate it. This shade in particular compliments my ever so pale skin, making it look a little less pale (can you believe it?!). My only bug is that it does take three coats to make the colour opaque so takes a while to actually get on the nails. Other than that, I'm into it. Don't think I've ever done a fashion section in any blog post ever (basically because I'm not very trendy), so this is new. Culottes - I've been eyeing up culottes for a looong while now, and have finally gone for it, with a basic but lovely £9.99 pair from New Look. They actually really suit me, and I've had a quite a few lovely compliments on them. I think my height keeps them from looking frumpy, as I thought they might, and they actually elongate my legs even more. If you're tall and have thought about trying a pair, go and see how they look on you, because I was very pleasantly surprised. Birkenstocks - Last month I finally bought a pair of sandals after not having any for two or three years. I've read so many comments online saying how comfortable they are and I cannot agree enough. My only concern was the lack of strap at the back, as I find a strap gives a little bit of extra support, but I found the Milano style and they are perfect and I love them. A lot. Hoping the sun's going to give a few more appearances in July so I get to wear them more. The Buried Giant by Kazuo Ishiguro - I really liked the style of this book and generally how it was written, but I did find it a bit of a slow burner. Personally I found it quite a while for the action to start, but when it did I really enjoyed it. It's set in post-King Arthur England, involving the familiar figure of Sir Gawain. Having read Le Morte D'Arthur I did find it more interesting that perhaps someone less aware of the events that essentially happen prior to the events of the text, but by no means do you need to know anything before the text. The novel focuses on an elderly couple with memory problems trying to find their son, and follows their journey to go and see him. The ending is fairly ambiguous, which I know a lot of people don't like, but I personally love, and I think it really gives something extra to the book. 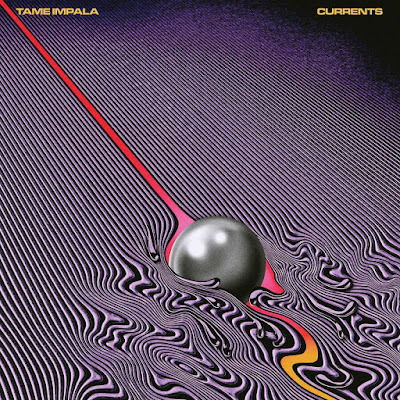 Tame Impala - Over the past few months I've fallen in love with Tame Impala's music. I love their style and sound, with allusions to the 60s, with a somewhat synthesised edge. Their most recent album, Currents, has been on replay this month, but I've also spent a lot of time listening to Lonerism and InnerSpeaker. I would highly recommend a listen if you're looking for something different. Fifth Harmony, 7/27 - I've been loving Fifth Harmony's new album this month. It has such a feel good energy to it, with empowering messages and upbeat tunes. Particular favourites include, The Life, That's My Girl, and Scared of Happy. A really fun album. Lawson, Where My Love Goes - I love this song so much, it has made me so excited for Lawson's next album, which is set to be released next month. It's a beautiful track, with a lot of heart, and an overwhelmingly wonderful video. Gossip Girl - The only TV show I've watched this whole month has been Gossip Girl. I'm the kind of person who just watches one thing start to end at a time, and I've gotten through two long seasons so far, and I'm getting into the third right now. There's something weirdly addictive about it, and if I didn't love the New York scenery already, then I'm completely enamored now. An absolute favourite. What have your favourites been this month? Any new makeup finds or good reads? I'd love to hear.